Your Family's comfort is our first concern. We have a friendly atmosphere that you and your family will feel at home in. We truly care about our patients and it shows. We strive to provide the highest quality of care in a compassionate and professional environment. We pride ourselves in building and maintaining strong, long-term relationships with our patients. Our ultimate goal is to have each person leave satisfied with a healthy smile. See what our patients are saying about us. "Staff is always so friendly and happy to see you. I have been going there for years and now my kids do to and they are so patient with them!" 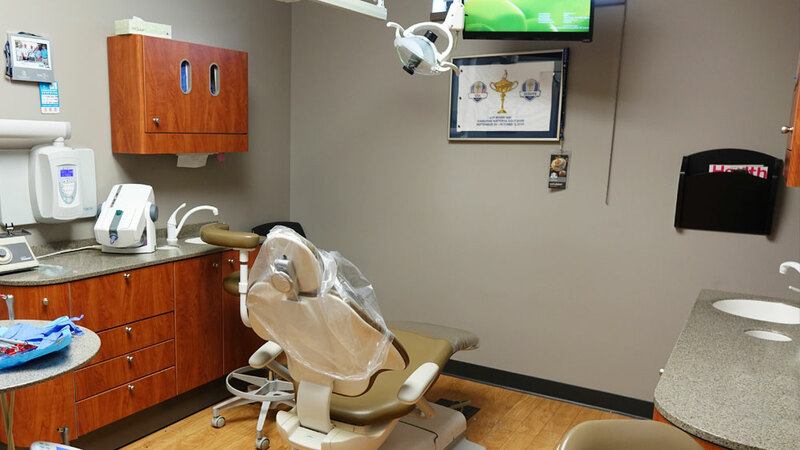 We use the latest state-of-the-art equipment and cutting-edge technology for fillings, bonding, sealants, non-surgical periodontal treatments and x-rays. In addition to normal dental care, we provide these advanced dental procedures: crowns, dentures, bridges, implants, and root canals. We accept most major dental insurances, Care Credit, Capital One Dental Fee Plan and the Citi Health Card.